I know that things have been quiet around here, but today, I can finally reveal why that is! 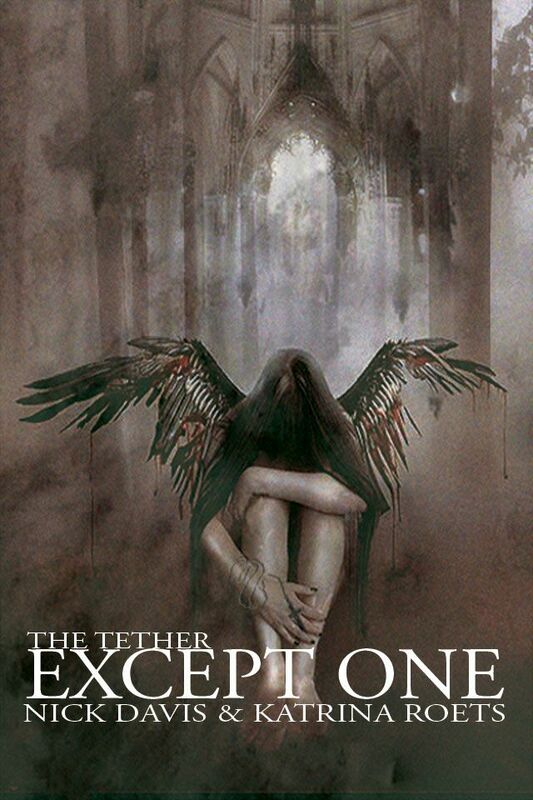 I've been hard at work on book 2 of The Tether Series! That gorgeous image to the left is our brand new book cover. Isn't it fantastic? Nick does such an amazing job on these. I revealed the cover last week on Facebook and now I'm sharing it with all of you. There's more though! Nick, through some sort of magic, took our finished book and had it prepped for publication within 24 hours of me sending it to him. I swear he has powers that he doesn't tell people about. Now, due to his insane skills (aka magic powers), I can tell you that the pre-order for the Kindle version is open now! On top of that, both the Kindle and print versions will be available and ready to go on December 6th! What does that mean to you? It means that if you order the Kindle version now, you'll be one of the very first people to get to read Except One! On top of that, it will be available for you to give as Christmas gifts! If you're anything like me, you love to receive books for Christmas. It gets cold here so I'm a huge fan of hot chocolate, a cozy blanket, and a new book to get lost in! Both books 1 and 2 (None Good and Except One) will be available for the holiday season with another not quite yet revealed story coming soon after! Stay tuned for more information on that but don't wait to pre-order your Kindle version and then order the print version on December 6th! Oooh...and before I forget, head on over to http://thecustodiet.com and join our mailing list! We'll be getting that up and running soon and I promise to use it only for good and not evil.